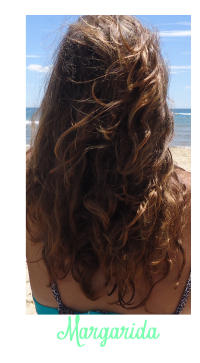 Olá, meninas!♥ Bem, este é o meu primeiro post e, como tal, decidi fazer uma review acerca de um produto que utilizo no meu dia-a-dia desde Setembro (se me maquilhar, claro! Porque às vezes sabe bem estar mais uns minutinhos na cama :P), a Naked Basics da Urban Decay. Hey, girls! ♥ Well, this is the first time I post something so, I'm going to make a review about a product that I use on my everyday routine since September ( if I do my make-up, of course! Because sometimes it's so good being on our bed sleeping a little bit more! 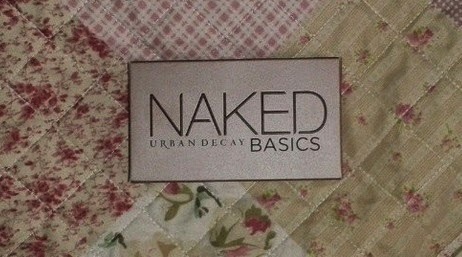 :P), Naked Basics from Urban Decay. Bem, esta paleta é constituída por 6 sombras neutras, como vocês podem ver na imagem abaixo, em que todas as sombras são matte excepto a Venus, que é Demi-Matte, sendo assim bastante boa para iluminar o canto interno do olho e o arco da sobrancelha. Well, this palette has six neutral shadows, as you can see in the image down below, and all of them except the Venus-this one is Demi-Matte so it's really good to illuminate the inner corner of the eye and the eyebrow arch.- are Matte. Esta foi a primeira paleta que comprei da Urban Decay isto porque, apesar de achar inicialmente que as sombras eram demasiados parecidas, quando as testei apercebi-me que era a paleta ideal para o dia-a-dia, prática para levar de viagem e que permite recriar looks de dia e de noite. (Embora utilize imenso a Naked 3.) Em comparação com as outras Naked, esta tendo apenas 6 sombras acaba por sair mais cara mas, para quem se quer iniciar nestas lides, esta é suficiente. A Naked Basics tem um custo de cerca de 28,50 e podem adquiri-la na Sephora ou aqui ou aqui. This was the first palette that I bought from Urban Decay because despite what I thought at the beggining( I thought they were really similar) when I used for the first time I saw that it was the perfect palette and add everything to make day and night looks and that was so tiny that I could take it with me everywhere . (I really use Naked 3 on my day-to-day). Comparing this one to the other Naked's, this one is more expensive because it has just 6 shadows but it's enough for someone that is a beginner. The Naked Basics price is 28,50 and you can buy it at Sephora or here or here. Eu ainda quero esta paleta! ;p Gostei do facto de teres a tradução, muito inteligente. & o texto está bem escrito!